We urge you to read this section carefully. An investment of time here will give you a knowledge advantage which only a fraction of shoppers enjoy. 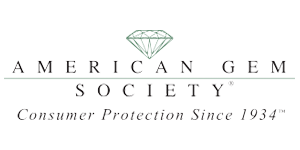 The American Gem Society (AGS) boasts the only cut grading system recognized by the science community. Published by SPIE, the International Society for Optical Engineering, theirs is a diamond-specific metric which evaluates angular spectrum in three-dimensions and takes different distances and tilt into account. Fewer than 1 in 20 round diamonds are capable of earning the AGS Ideal grade and this number falls to 1 in 100 for princess cuts. Only 2% of diamonds are sent to the AGS for grading, so diamonds graded there are rare. 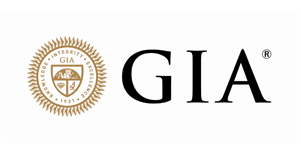 The cut grades issued by the AGS and GIA grade cut performance, but not cut precision. This is how well light gets in and out of a diamond. The components of performance are brightness (all light returning to the eye), dispersion (“fire” seen as white light is broken into its spectral colours) contrast (the pattern of dark areas which exaggerates light areas) and scintillation (sparkle seen as the diamond, the light source or the observer move). The benefits of high performance are maximized light return for higher values in all these categories. Performance has been judged in diamonds for many years. The level of performance, particularly brightness and contrast, can be seen in the AGS ASET® and its predecessor the Ideal-Scope®. This is how well the diamond’s facets (mirrors) align with each other in 3D. Precision components include optical symmetry (uniformity of patterning, such as the “Hearts & Arrows” pattern seen in precise round brilliants) and the degree of crispness of those patterns. The benefits of high precision are increased contrast values, purer spectral colours during scintillation and improved performance in low-light conditions. Precision is a young aspect of cut that became possible in the 1980s and 1990s in rounds and is only now surfacing in fancy shapes. Achieving top precision requires the most modern tools, extra time and higher skill sets to accomplish. The level of precision can be seen by using an Optical Symmetry or “Hearts & Arrows” viewer. Only a fraction of the world’s diamonds have both top performance and top precision and are quite rare. Such diamonds actually improve in the other Cs: They appear larger for their carat weight, face up more colourless and clarity characteristics can be less visible. They also have dazzling whiteness and rainbow colours, even away from the jewelry store lighting. It is important to remember that labs do not judge both aspects of cut: A diamond can have great performance without enjoying the benefits of precision. Others can be very precisely cut without the benefits of top performance.